“Our affiliates and labour activists across the country have organized and campaigned against these bills from the beginning, and this is their victory to celebrate,” said CLC President Hassan Yussuff. “Prime Minister Justin Trudeau then promised that, if elected, he would repeal these bills and we are happy he has kept that promise,” he added. 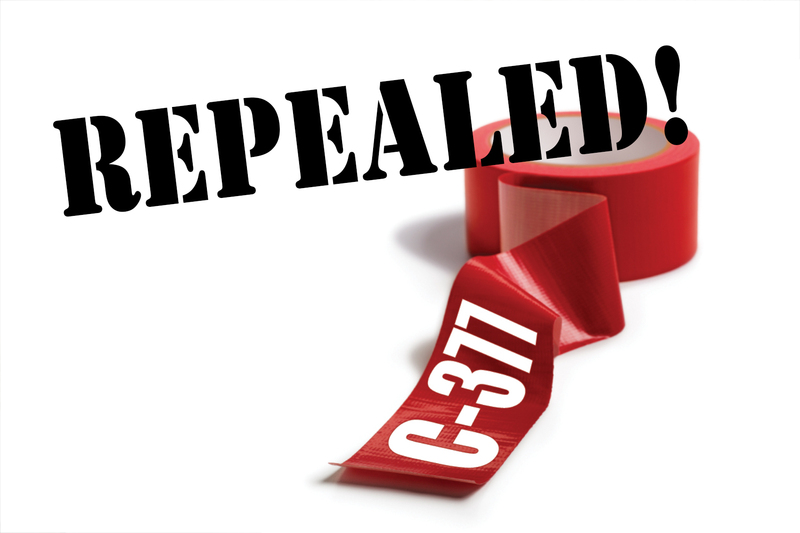 The former Conservative government argued Bill C-377 was about union transparency, but experts from across the spectrum agreed it was really about red tape that would have forced unions, their suppliers, and other businesses they work with to spend millions of dollars and thousands of hours producing and processing expense reports to be reviewed and filed – all at taxpayer expense. Bill C-525 would have made it more difficult for workers in federally-regulated workplaces to join a union. It was opposed by labour relations experts, but was nonetheless passed into law by the Conservatives in December 2014. Bill C-377 was opposed by everyone from the NHL Players’ Association to Conservative and Liberal senators, constitutional experts, Canada’s Privacy Commissioner, the Canadian Bar Association, the insurance and mutual fund industry, seven provinces, and a long and diverse list of others in the business, financial, professional, legal, labour, and academic communities, private and public, federal and provincial. Despite that opposition, the Conservatives used their Senate majority to pass the bill on June 30, 2015.